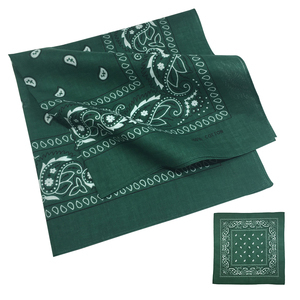 Stock Colorful Classical Print Square 100% Cotton Bandana Wholesale Custom Welcome Hotsale Organic Cotton Bandana Material 100%cotton/polyester Size 55*55CM Min. 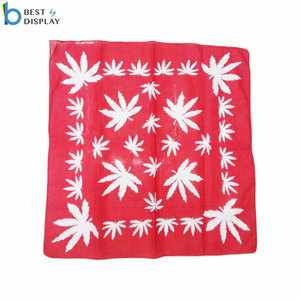 order 5000pcs/color Design OEM and Custom General packing Plastic bag Sample time Seven-ten days Delivery time 15-20 days Main Market USA,EUROPE,CANADA,JAPAN,AUSTRALIA Certification Europe standard/SGS Packing Details: Stock Colorful Classical Print Square 100% Cotton Bandana Wholesale Custom Welcome Hotsale Organic Cotton Bandana Each 12 pc in one polybag, 600pcs per carton, then put into a standard carton or according to your requirements. 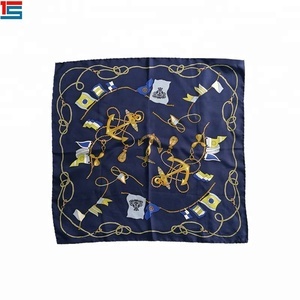 Our service: Stock Colorful Classical Print Square 100% Cotton Bandana Wholesale Custom Welcome Hotsale Organic Cotton Bandana 1.Fast and professional response to your email 2.Sample lead time: within 7-10 days 3.Trial orders are welcome 4.Buyer's logo/size/color are accepted, buyer's design is welcome View Of Item COMPANY OVERVIEW Let's Start From Here. 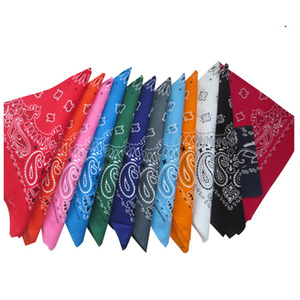 Colorful Printing Bandana Logo Customized Fashion Bandana Products details: 1) 100% cotton made 2) All shiny colors are available 3) Eco-friendly printing 4) Full glamour filled Bandana which is your best choice as a gift for business promotion event. 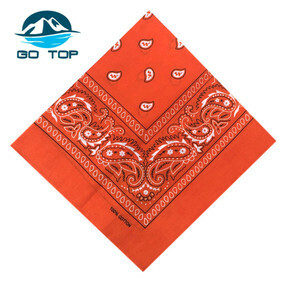 Sample time: 7 days Delivery time: 25days Packing: 12pcs/polybag, 600pcs/carton carton size:59*34*20cm, 12/13kg/carton Our factory Our company is a professional manufacturer of Bandana, handkerchief, cap and headband as gifts and crafts. Fast shipping, customized making and competitive price is our biggest advantage. 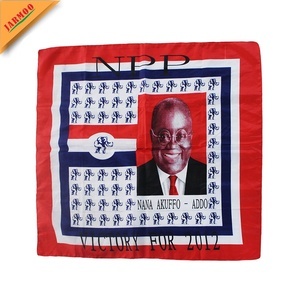 Alibaba.com offers 54,428 custom bandanas products. About 61% of these are bandanas, 1% are flags, banners & accessories, and 1% are sports caps. 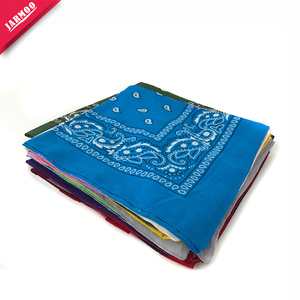 There are 54,428 custom bandanas suppliers, mainly located in Asia. 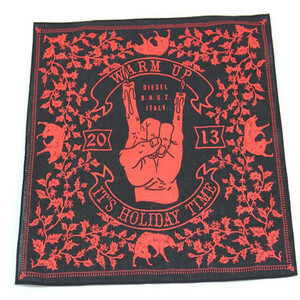 The top supplying country is China (Mainland), which supply 100% of custom bandanas respectively. You can ensure product safety by selecting from certified suppliers, including 11,088 with BSCI, 4,136 with ISO9001, and 3,935 with Other certification.